What is widely regarded as Asia's most luxurious home has been sold according to Property Report. 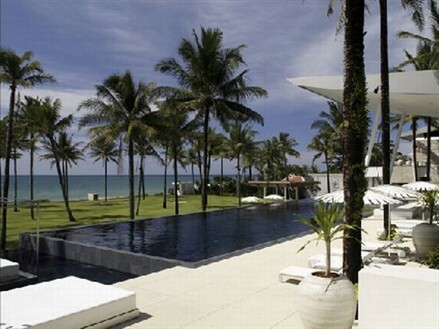 Beyond Villa, located Natai Beach in Thailand's southern Phang Nga province, has been sold for around US$24 million. The 6,500 sqm property, which was previously owned by California Fitness founder Eric Levine, has been purchased by an unidentified Russian buyer, according to several sources familiar with the transaction. 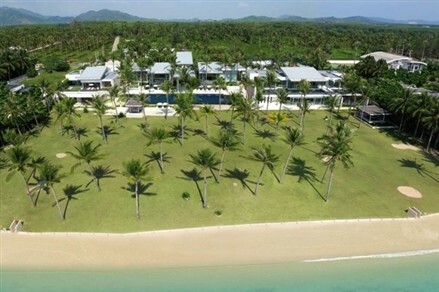 The ocean-front property has been on the market for several years and was initially listed at around US$27.5 million. Located on a 10-rai (4 acre) beach front estate on quiet Natai Beach in Phang Nga, the four-bedroom villa has one of the best home gyms in the world, thanks to its former owner. It incorporates glass, steel and granite into its uber-modern and light-filled design which was created by Hong Kong architect Branko Pahor. Outside its doors Villa Beyond has a two-hole golf course, 37-metre infinity swimming pool, barbecue terrace and covered outdoor massage and dining areas. Notable inside amenities include a 24-seat cinema, hidden kitchen, meditation room and a spa. The master bedroom is 500 sqm in size and boasts its own private swimming pool. The home gym - with more than 80 pieces of equipment - is located in a separate pavilion on the property, as is a 750 sqm games room complete with bowling alley and karaoke room. The property was being marketed extensively by local and international agents, and had been featured in the pages of global newspapers and magazines, including The New York Times.